What do you do on a cold winter day with not much to occupy your mind? You play with your "boys." For me, that meant playing with my cat, Horus and my dog, Tango. 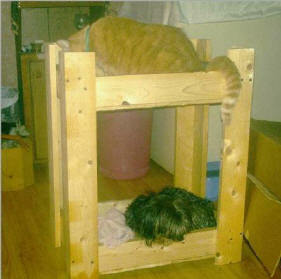 This was my creation - a bunk bed set for them. was to write a poem and share it with you.